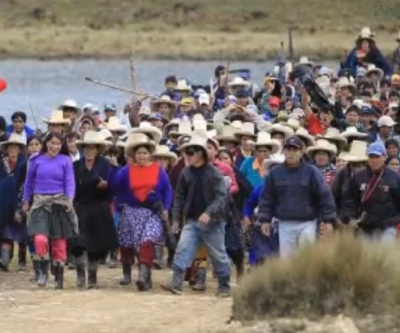 The Peruvian government confirmed it will end Monday a state of emergency imposed in early July in the country’s northern region, where violent protests against Newmont Mining's (NYSE:NEM) controversial $4.8 billion Conga project left five dead and dozens injured. Local authorities quoted by local newspaper El Comercio said security forces would remain on alert to guard against unrests. Hundreds of soldiers have been deployed in the three provinces to quell protests against the proposed copper-gold project. The state of emergency suspended the right of assembly and other civil liberties in the three northern provinces of Celendin, Cajamarca and Bambamarca. But the Denver-based company has a tough road ahead, as an opinion poll divulged a few days ago showed that about 4 in 5 locals are opposed to Conga. Conga is being developed by Minera Yanacocha, of which Newmont Mining, the world's number two gold producer, holds a 51.35% interest and Compañía de Minas Buenaventura a 43.65%. The IFC owns the remaining stake. The project is the largest ever single private investment in the country and has turned into a political minefield for the Humala administration with many in the opposition and within his own party calling for drastic changes to his handling of the most recent protests.